As the year draws to a close it is a time to reflect on the good and the bad of the last 12 months. *First up its the lads and lasses of the Third Battalion, The Mercian Regiment (Staffords) who are HEROES – despite what my columnist colleague Mike Wolfe may think – for completing their tour of duty to Afghanistan. 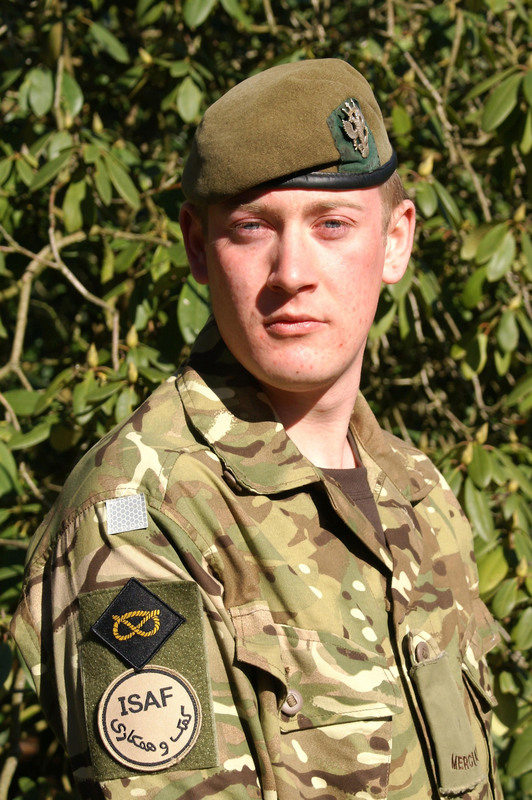 Private Gareth Bellingham, aged 22, of Clayton, was shot while on patrol in June and paid the ultimate sacrifice. We can’t have anything but admiration for the job our Armed Forces do. *Developer Realis may, in time, be viewed as a HERO for investing hundreds of millions of pounds in the city centre to replace the eyesore that is Hanley Bus Station with a huge new shopping centre. But they, and the city council, are firmly in the VILLAINS corner for ever thinking it was OK to name the complex ‘City Sentral’. Bad English. Bad idea. *I’m swallowing my pride for this one and naming Stoke City’s team HEROES for their exploits in 2011. It would be churlish – even for a Vale fan like me – to deny our cousins down the A500 their moment in the sun after an FA Cup Final appearance, a continuing European odyssey and some very decent results of late in the Premier League. There, I’ve said it. *Next comes Jim Gannon – the pantomime VILLAIN who almost single-handedly wrecked Port Vale’s chances of promotion last season by dropping the entire first-choice midfield and upsetting virtually every player. The manager’s bizarre behaviour (remember busgate?) alienated the entire club and its fanbase. Good riddance. *I’m afraid the city council again earns the title of VILLAIN for its shocking lack of transparency and accountability over the Dimensions pool fiasco. Ultimately, local businessman Mo Chaudry dropped his threat of legal action against the authority and tens of thousands of pounds worth of taxpayers’ money was wasted because someone at the council dropped a clanger over a potential deal to shut the splash pool at Dimensions. Inevitably, no-one – neither councillors nor officers – has been punished. Quelle surprise! *The various incarnations of Port Vale’s board of directors have proven to be VILLAINS whose self-interest and misguided view of what’s best for the club have been catastrophic. The Vale doesn’t appear to have two pennies to rub together and fans and shareholders have been properly led up the garden path with the issuing of ‘nil-paid’ shares and the spectacular failure of the Blue Sky deal. Time for a New Year Spring Clean methinks. *Another sort of local HERO this year is Saul Hudson – AKA guitarist Slash – who returned to his native North Staffordshire for the first time to play a one-off gig at the Victoria Hall. His links to the city may be tenuous, but I’m still claiming him. Anyone who, like yours truly, was lucky enough to see him play live up Hanley in July knows they were in the presence of greatness. Rock on, Slash. *Sticking with music I’d like to name Robert Williams esquire as a HERO of 2011. Firstly, he has earned it because he has given ordinary Vale fans a voice by allowing his shares to be used by the Supporters’ Club. Secondly, he deserves it because I saw him with Take That on the Progress Live tour at Manchester and can categorically say that there was only one superstar on the stage that night. Everything else was window dressing. Take a bow, Robbie. *My next VILLAIN isn’t local but its actions have placed a priceless piece of our heritage in jeopardy. The High Court ruling that the Wedgwood Museum collection could be sold off to help plug a pension fund deficit linked to the collapse of the pottery giant was a disgrace. Mercifully, the stage is set for Stoke-on-Trent-born billionaire and philanthropist John Caudwell to become the HERO after he vowed to save the collection rather than seeing it broken up and lost to the Potteries. Nice one, John. *Finally, a bit of festive cheer courtesy of a local firm which battened down the hatches in October 2008 in preparation for the global economic downturn. JCB is not only surviving but thriving and has to be seen as a HERO after awarding its workforce a 5.2 per cent pay rise and a £500 Christmas bonus. Other employers please take note. Irrespective of the spin certain people might like to put on it, the Dimensions leisure centre saga leaves a bitter taste in the mouth. One of the reasons people like myself get frustrated with the public sector is the sheer lack of transparency which pervades so many elements of its work. The ‘settlement’ reached between Stoke-on-Trent City Council and multi-millionaire businessman Mo Chaudry in recent days is another case in point. No wonder some councillors are up in arms about what they are calling a ‘secret deal’. I suspect there will be a few Freedom of Information (FoI) requests winging the council’s way as a result. Thanks to the settlement, Mr Chaudry has agreed to drop his long-standing threat of legal action against the local authority. But just what does this agreement entail and has it cost the taxpayers of the city? Either way, surely they have a right to know. It is more than three and a half years since The Sentinel’s front page revealed the planned closure of the splash pool at Dimensions. It is more than two years since the police investigation into the proposed closure of the facility in Burslem was dropped through lack of evidence. But I dare say most observers are still none the wiser as to what went on, who spoke to whom, or what exactly was being proposed back in early 2008. What we do know for definite is that the Dimensions controversy led to the arrest of former city councillor Roger Ibbs and the then elected mayor of Stoke-on-Trent Mark Meredith. Mr Chaudry was also arrested but no charges were ever brought against any of the men and the investigation was dropped. All three men then spoke of their relief, said there should never have been a police inquiry and basically seemed to be blaming each other for what became the ultimate political hot potato. The closure plans were abandoned after a huge public outcry and a council report which conveniently concluded that shutting the Dimensions pool would actually cost money rather than save it. Talk about closing the stable door after the horse has bolted. Initially, councillors had been told the scheme would save about £60,000 a year but a subsequent report found that the loss of visitor income and loss of income from services like vending machines would result in a net cost of £42,000. Mr Chaudry says he had negotiated a deal with the city council to close the splash pool and have them pay him £100,000 a year to offer people discounted admission to his Waterworld attraction. The city council has now finally admitted that discussions did take place with Mr Chaudry over the possible closure of the facility. Now we can argue about whether or not any such contract would have represented a good deal for the taxpayers of Stoke-on-Trent or whether or not local authorities rather than private businesses should be providing such facilities. But I can’t get past the fact that what we are talking about here is a leisure attraction – the number of visitors to which had risen consistently in the years leading up to its proposed closure. This begs the question why anyone at the council – politicians or officers – thought there was merit in shutting the splash pool in the first place. Sadly, we’ll never know who got the maths wrong and no-one will ever be named and shamed or punished over the affair. But surely, given recent developments, we should be able to get to the bottom of the settlement brokered between Mr Chaudry and the council. If the authority didn’t have a contract with Mr Chaudry then why have we never had a statement from them saying as much? I’d like to know whether or not Mr Chaudry has been financially compensated for any breach of contract or perceived damaged to his reputation. I’d also like to know how much taxpayers’ money has been spent on solicitors’ fees dealing with Mr Chaudry’s threatened legal action. How can the public possibly judge whether or not their money is being well spent or take a view on whether or not the council has learned lessons from this sorry saga when there is such a clear failure to communicate. It seems obvious that mistakes were made when the Dimensions splash pool was being considered for closure and that senior figures at the council spectacularly misread the public mood when discussions were taking place with Mr Chaudry. However, it appears that no-one is accountable and the long-suffering public is once again being asked to accept bland statements which attempt to gloss over what is a monumental PR disaster. Go For Broke by MB Games. 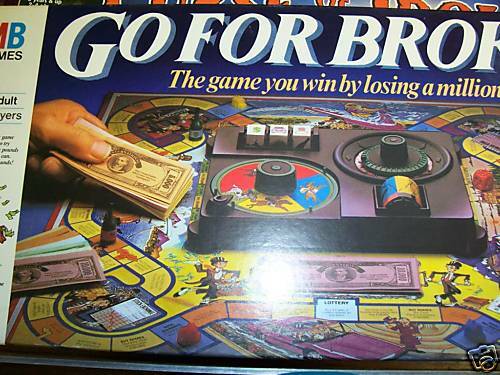 I remember one Christmas receiving a board game called Go For Broke from my parents. I came across it in a cupboard at my mum’s house the other night. If you’ve never heard of it, the aim of the game is to lose a million dollars as quickly as possible. The first person to fritter away this enormous sum of money is declared the winner. As I recall, methods of wasting your dough included donating to the poor, playing the stock market and visiting the casino. I have a theory that senior officers and some elected members at the city council wasted their youth on this game. Although, if memory serves me correctly, ‘giving a £65,000 golden handshake to the council’s chief executive for doing precisely nowt’ was not an option when I played Go For Broke. Maybe they were playing the advanced version. You can almost hear the groans from the Civic Centre, can’t you? Actually, if it’s all the same to you, I’d rather not. Because just when I thought the whole outrageous affair couldn’t annoy me any more I read some of the comments to come out of the council’s burgeoning press office and from our elected members as they attempted to spin and defend the indefensible. So as much as it would perhaps please the likes of council leader Ross Irving and the members of the nine-person human resources committee which approved this deal if myself and many, many Sentinel readers just let it lie, I feel there are a few things still worth saying before this sorry episode is swept under the carpet. Firstly, I was struck by a quote from an unnamed council spokesman when details of the pay-out were first publicised. Hmmm. Or he could just have left, seeing as how he was so unhappy, and not taken any money from the taxpayers of Stoke-on-Trent. Of course, no-one has yet answered the pretty straightforward question as to why Mr Harman was paid anything at all – given that it was him who decided to leave the authority. According to that clever old political fox Mr Irving, the legal confidentiality (AKA a gagging clause) was necessary to prevent sensitive personal information about Mr Harman being made public. One wonders just how many Sentinel readers – or city council employees, for that matter – are enjoying the comfort of such marvellous contractual security in this harsh economic climate. “I have enjoyed my time with Stoke-on-Trent and have made many new friends,” said Mr Harman, by way off signing off. Yes, well don’t be expecting too many Christmas cards from the Potteries, old fruit. How refreshing it would have been if Mr Irving et al had said “no” to any suggestion of a pay-out to a bloke who patently doesn’t deserve a bean having “had a cob on”, as we say around here, since he didn’t get the job he wanted. However, I have long since lost faith in local politicians in positions of any real influence to stand up for taxpayers. The fact is, no matter what fiascos The Sentinel uncovers, there is an elite tier of ludicrously overpaid senior officers within local government who don’t seem to care about the taxpayer and are bullet-proof – despite their eye-wateringly poor performances. Indeed, one wonders what these people are being paid for at all when PR disasters like the Dimensions debacle and the sale of the council’s stake in the Britannia Stadium are allowed to happen in the first place. I actually feel sorry for a few elected members who freely admit that they are better informed by their local newspaper as to what is going on at the Civic Centre than by the senior officers who are supposed to guide them. 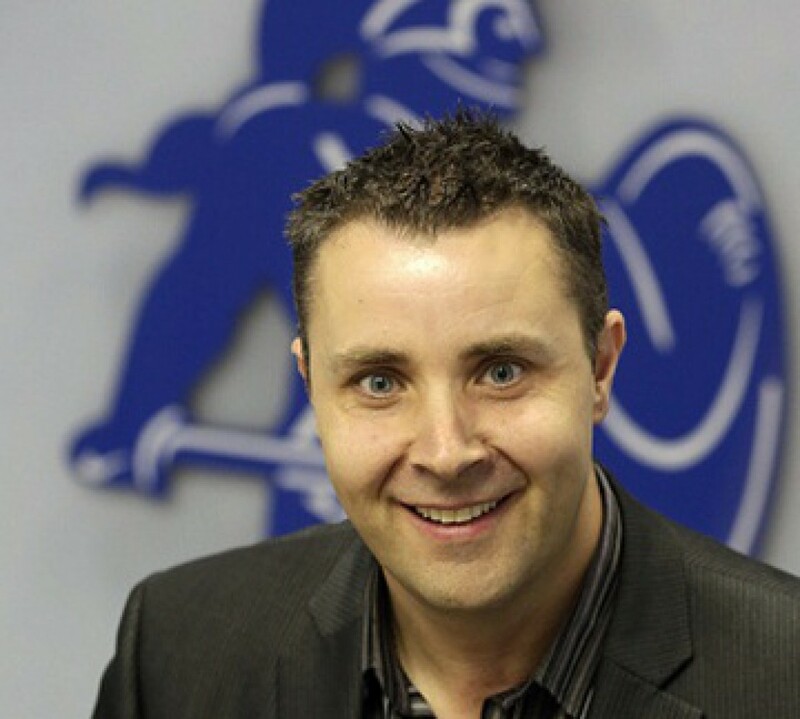 Such officers may appear untouchable, but some councillors will hopefully find that voters have long memories and that their handling of Chris Harman’s departure hurts them at the polls.